Black is the new trend in bathroom design! 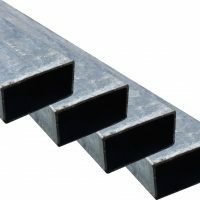 If you haven’t jumped on the bandwagons, then here’s your chance. 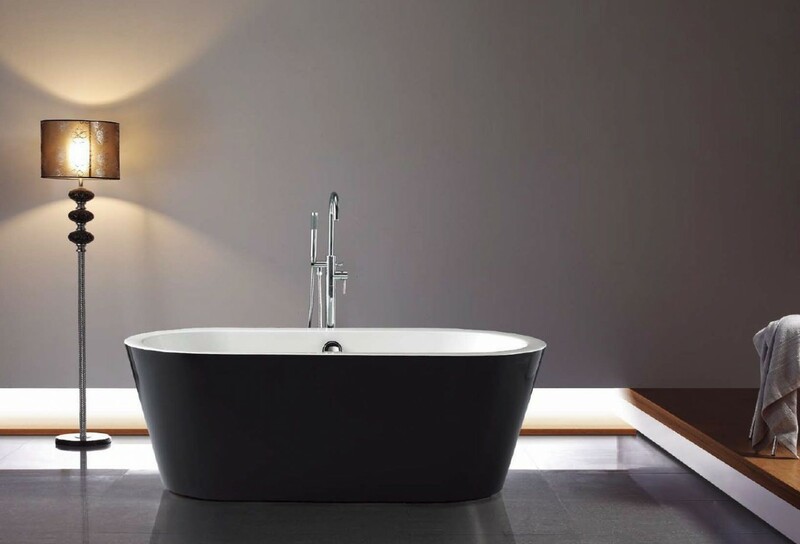 The Galaxy Black Oval Freestanding Bath is a sleek and elegant bathtub that will certainly modernise your bathrooms interior. 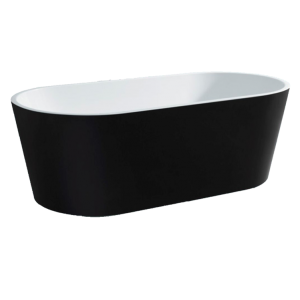 The Galaxy Black Oval Freestanding Bath features striking looks and a bold black finish. This wonderful freestanding bath will redefine your bathing experience and lifestyle. While the Galaxy Black Oval Freestanding Bath is very stylish, it is also highly practical. 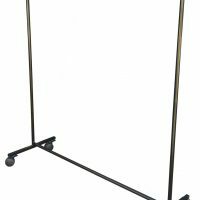 It is manufactured with double-skin Lucite acrylic sheets of up to 50mm in thickness, which makes it retain heat for longer. Furthermore, it includes an offset waste which guarantees a relaxing bathing experience. This freestanding bath measures 1700x800x600mm in dimensions and is adequately sized to fit bathrooms of standard size. Moreover, weighing just 40kgs, this freestanding bath is lightweight and is therefore easy to install. The minimalist styling of the Galaxy Black Freestanding Bath will certainly complement the décor of any bathroom. Stop looking for freestanding baths in Perth and purchase the Galaxy Black Oval Freestanding Bath from Ross’s Discount Home Centre in Guildford today!